Across Hollywood, industry veterans are grappling with shame, anger and fear as sexual assault and harassment accusations continue to break everywhere in the wake of Harvey Weinstein’s personal and professional implosion. 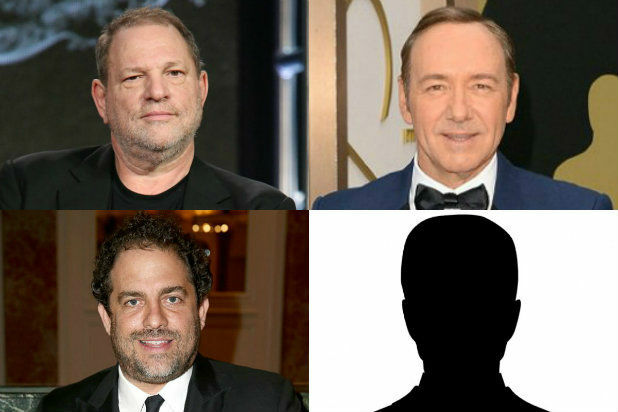 Conversations with more than a dozen industry insiders in the past several days reflect frank embarrassment over the sordid revelations of sexual misconduct, fear over the cascading revelations that continue to emerge and worry at the spillover effect into their own organizations. Within the industry, people have gone from shock over reports of Weinstein’s serial predatory behavior to concern that bad behavior is more widespread than anyone previously believed. It’s been less than a month since two exposés ran accusing Weinstein of sexual misconduct. The stories rocked show business and almost immediately sparked an avalanche of similar accusations against figures like Amazon Studios head Roy Price, director James Toback, actor Kevin Spacey, producer Brett Ratner, journalist Mark Halperin, agents and managers like Tyler Grasham and David Guillod and more. Many of them have taken leave or been removed from their jobs, with ripple effects across the industry. “House of Cards” production has been suspended, for example, and the future of the next and final season is in question. Several individuals called the daily barrage of sordid stories a “nightmare,” creating a climate that has placed a damper on the enthusiasm for the upcoming awards season and sparked nervous conversations at talent agencies, production companies, studios and PR firms about their own clients. In the case of CAA, this led to a decision to drop Spacey as a client last week, as did his publicist Staci Wolfe. That in turn has raised questions about how talent and PR agencies might respond in the future to accusations against other clients — from Dustin Hoffman to Casey Affleck to names who have yet to emerge. Past legal settlements are being dusted off and scrutinized anew out of concern that any leaks that might embarrass the institutions at best, or leave them liable at worst, said one public relations expert who works closely with the talent agencies. “You can be sure that human resources departments all over town are carefully reading any legal settlements they’ve made,” said this veteran. While none of the big four talent houses — CAA, WME, UTA and ICM — would comment on specific reviews, individuals at CAA and WME said the companies are evaluating internal policies and outside relationships for any problematic ties. At UTA, CEO Jeremy Zimmer sent an internal email clarifying that harassment in any form is intolerable and underscoring that any employee confronting the issue should feel comfortable in coming forward. Even those who have been most outspoken about reforming Hollywood culture may have Achilles heels in their past work with individuals who have fallen under the spotlight for bad behavior. Cathy Schulman, an Oscar-winning producer and the president of Women in Film, sits on the executive board of the management company Primary Wave Entertainment — whose co-CEO David Guillod resigned Saturday after facing accusations in TheWrap that he drugged and assaulted a female client. Schulman has declined multiple requests to comment. 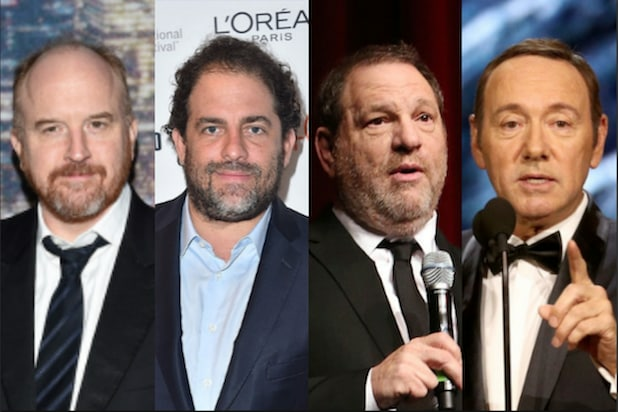 According to many individuals TheWrap interviewed, what’s most unsettling is the speed at which the accusations are flying — as well as the consequences landing. The dismantling of Weinstein’s legacy took several weeks, from his firing by The Weinstein Company Board to his ejection by the Motion Picture Academy and the PGA to the escalating threat of criminal charges. But last week’s Kevin Spacey scandal played out in just five days: After more than a dozen men accused Spacey of sexual misconduct, including several who were minors at the time, Netflix severed ties with the star of its hit show “House of Cards” and even jettisoned a Gore Vidal biopic that was already in postproduction. His agency CAA fired him, as did his publicist, Staci Wolfe. A top corporate executive in TV was even nervous about playing matchmaker at the office, wondering in hindsight if any intrusion in employees’ personal lives was out of bounds in this post-Harvey world.